ColaReb is an Italian family business based in Rome. Designed by a husband-and-wife team, each collection within the brand highlights carefully chosen leathers with distinctive treatments. ColaReb straps are manufactured in the Tuscany and Marche regions of Italy. Due to their handmade nature, each piece is unique; minor imperfections and tonal gradations contribute to the rustic character. The black Venezia style -- one of the company's best sellers -- features a distressed finish with elegant grey contrast stitching. Now available in a short length for those with smaller wrists. If you have any questions about this product by ColaReb, contact us by completing and submitting the form below. If you are looking for a specif part number, please include it with your message. 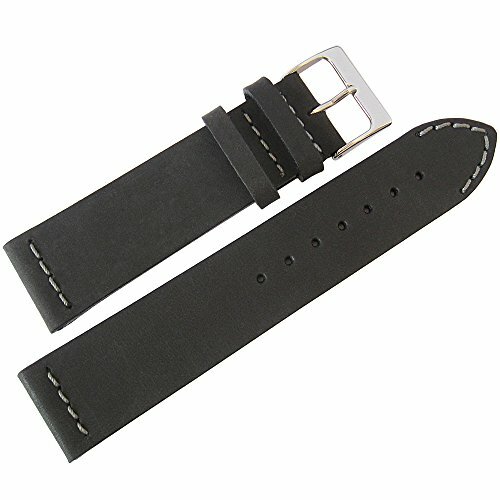 23mm Orange Grain Leather Strap Watch Band Fits CARTIER SANTOS 100 XL Non-Chronograph by Vintage G.